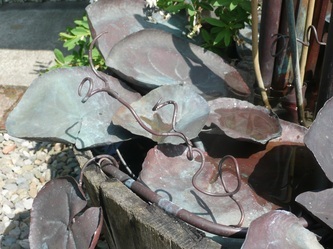 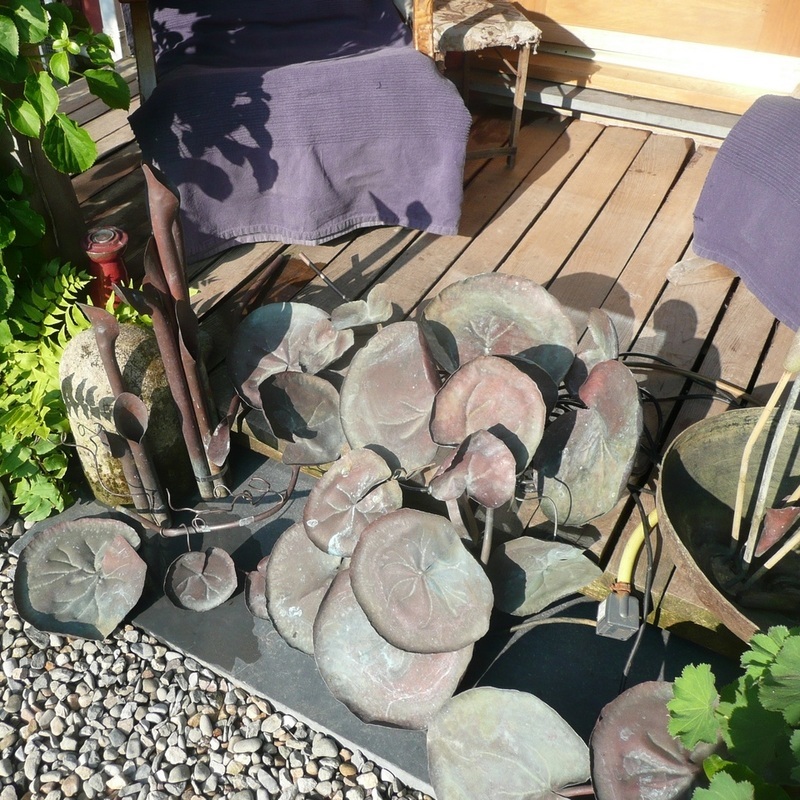 Hand - made copper fountains. 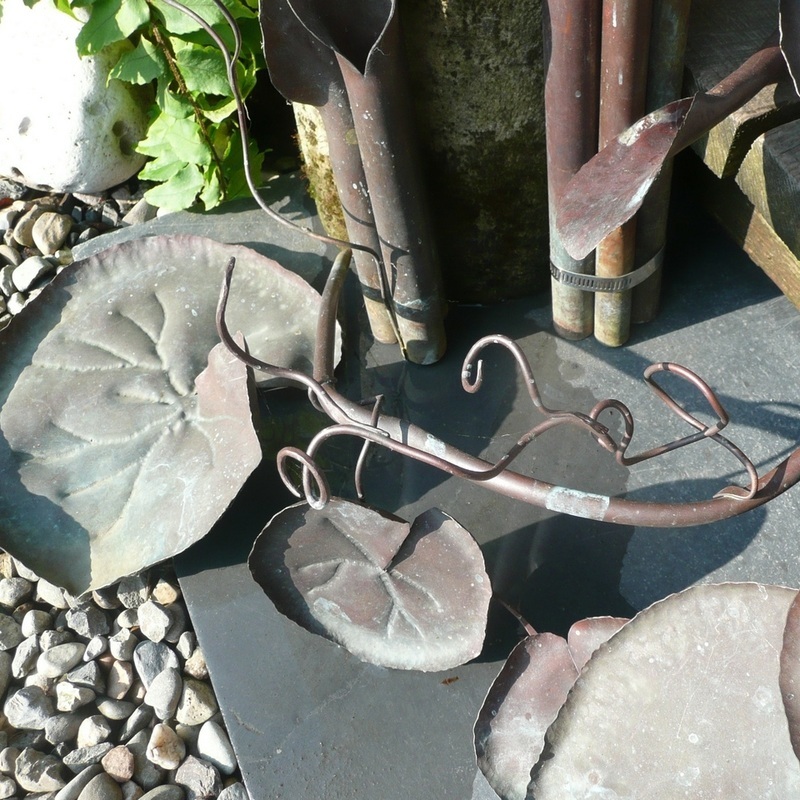 Several years ago, I undertook a project for a friend. 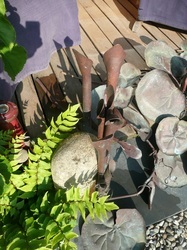 She had seen, at the R.H.S. 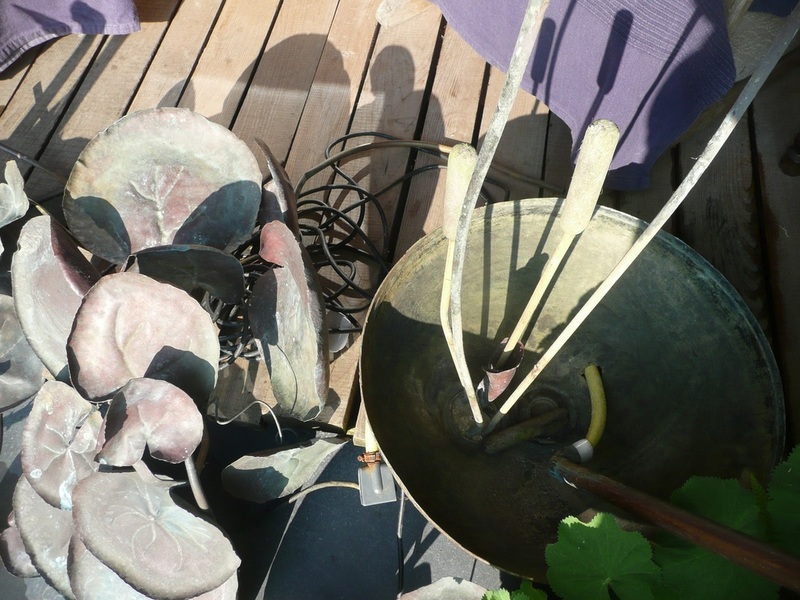 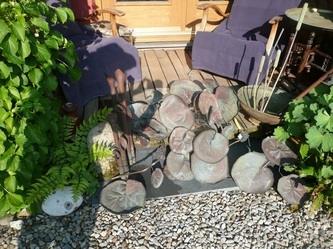 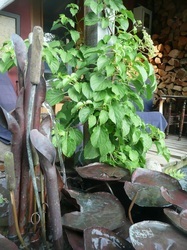 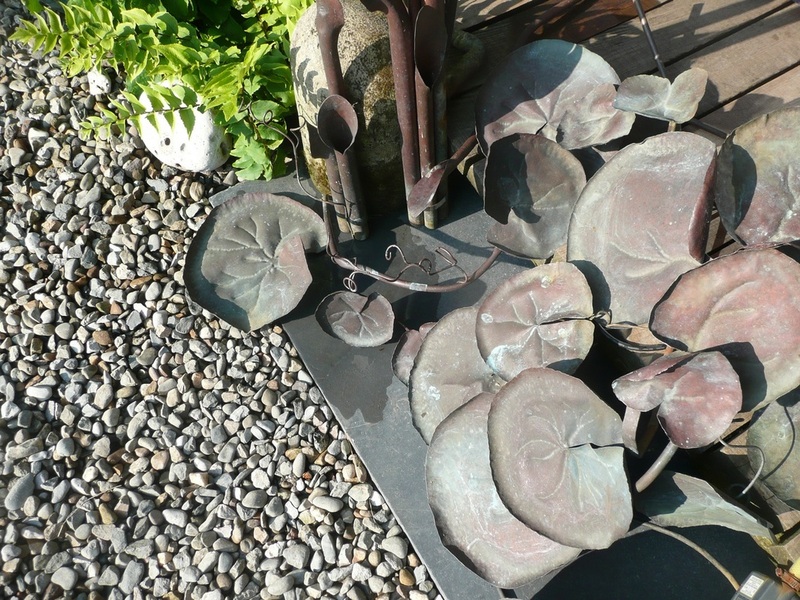 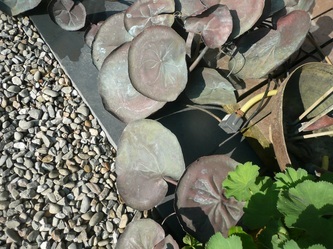 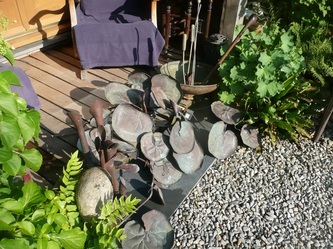 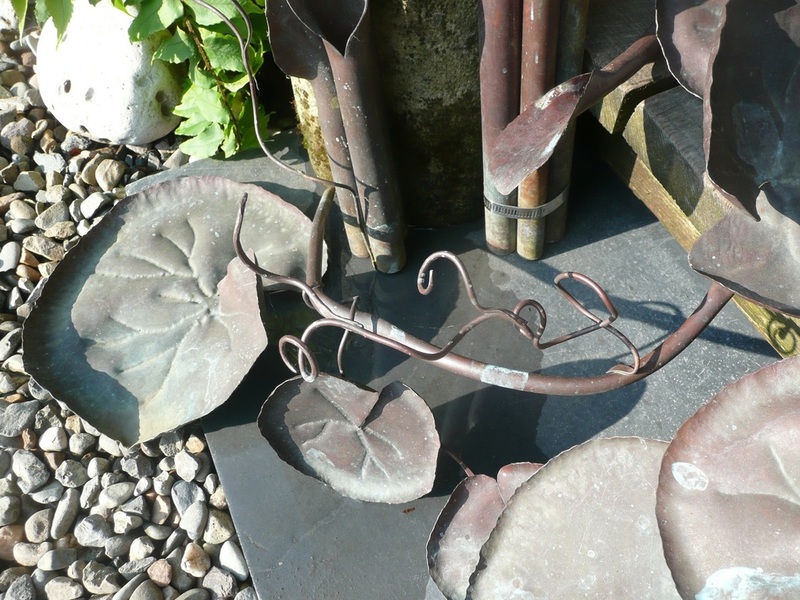 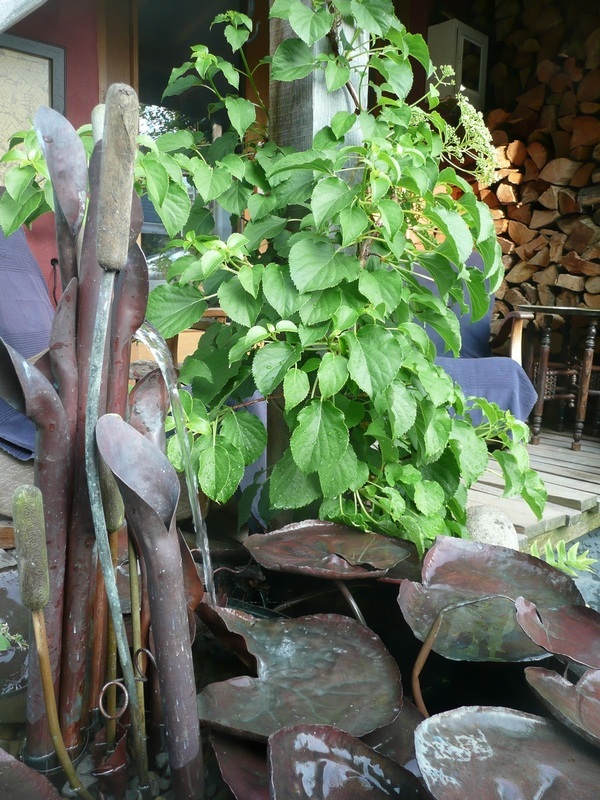 (Royal Horticultural Society) summer show, a copper fountain. 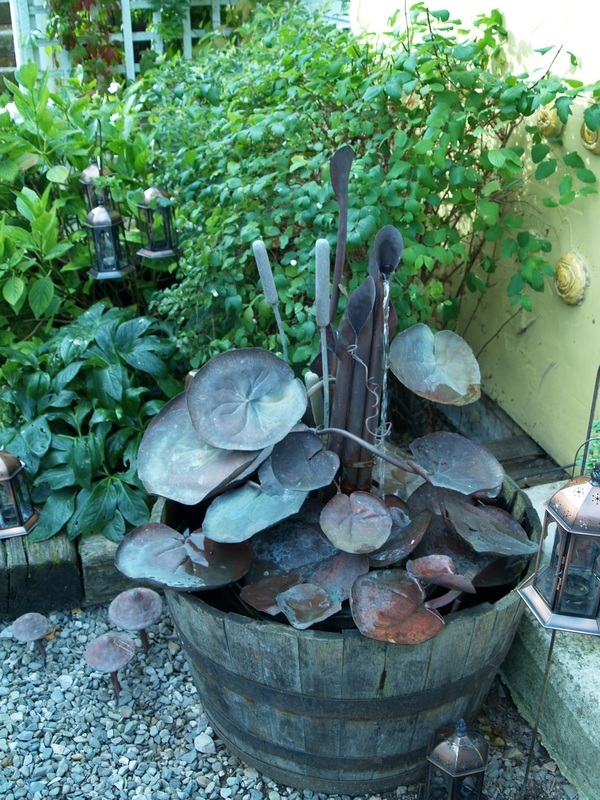 It had been way out of her budget, being made by a professional coppersmith; basically..... it cost thousands. Such was the beauty of this object, however, she wanted it badly - and she got a student to make her one that she could afford. 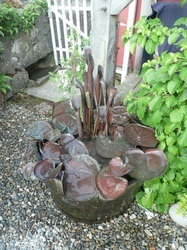 Unfortunately, the original cost had been due to the professional’s skill, artistry, experience and ingenuity. The student’s fountain had something of the spirit of the piece, but did not last. It came apart in a gale. 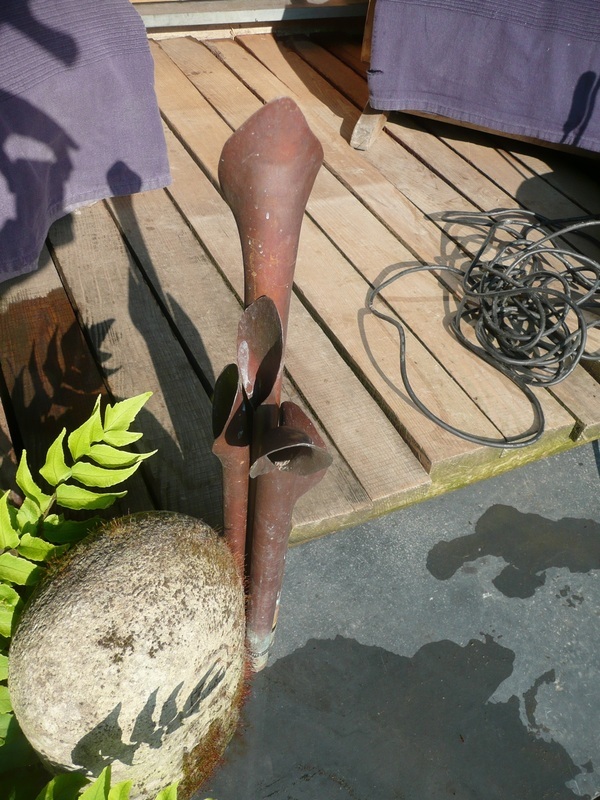 It had been held together at a flexible weak point, using only plumber’s grade lead solder; sadly this was inevitable. 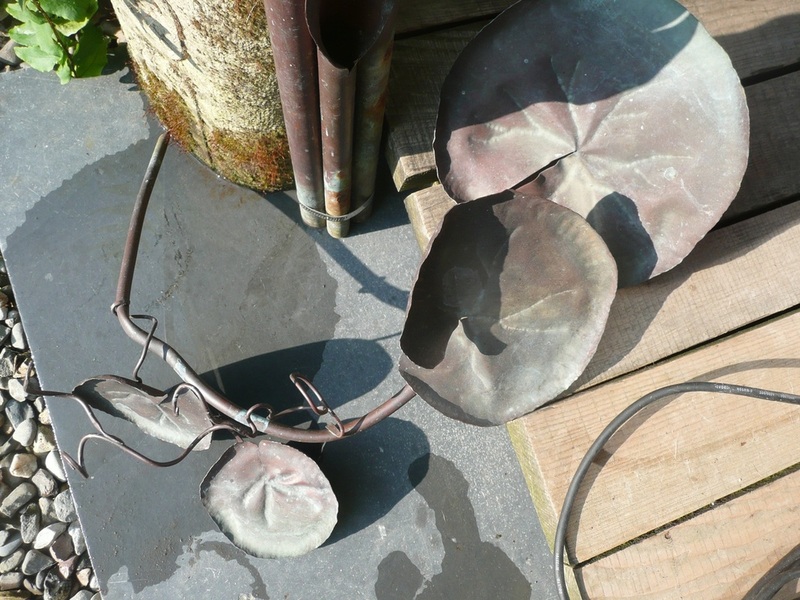 I was asked to fix it for her. 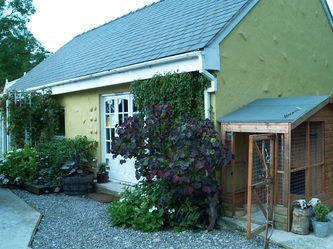 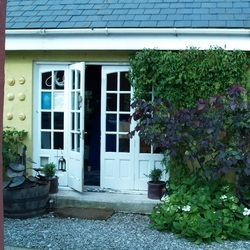 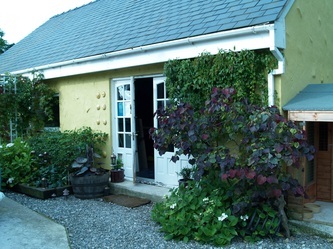 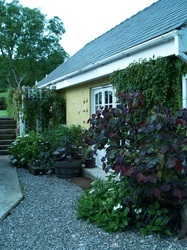 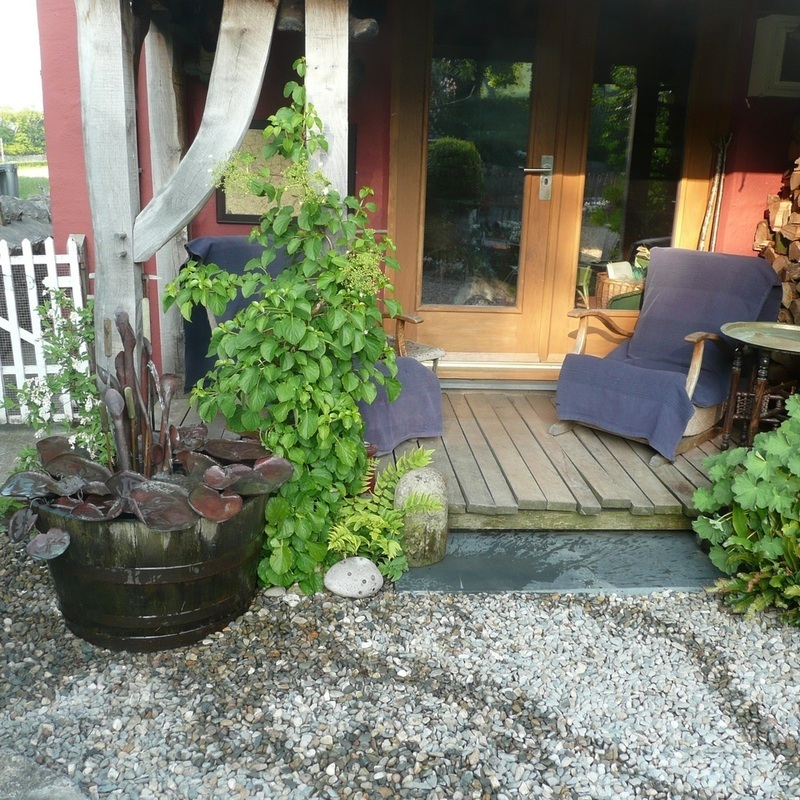 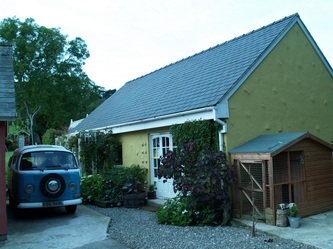 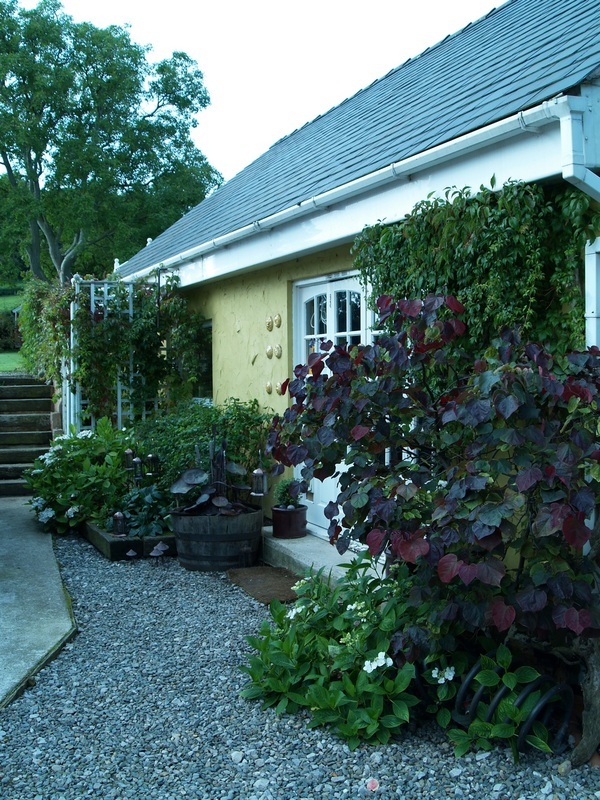 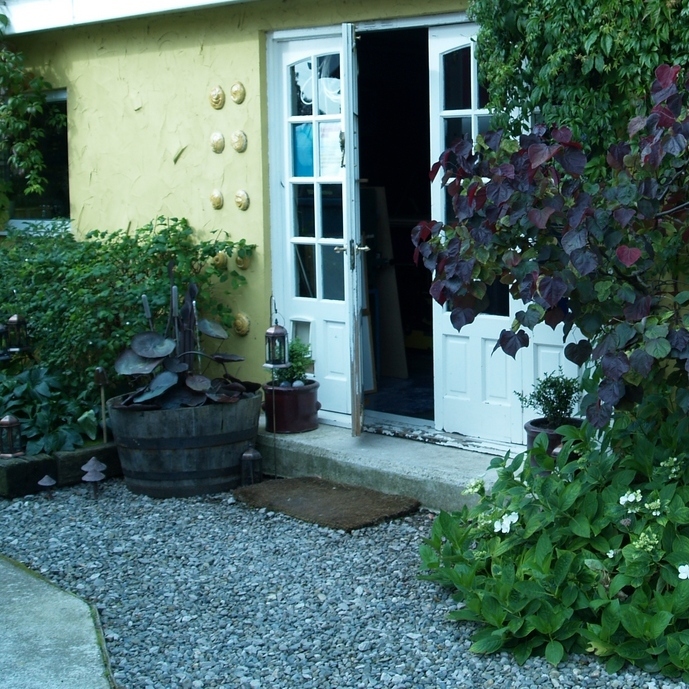 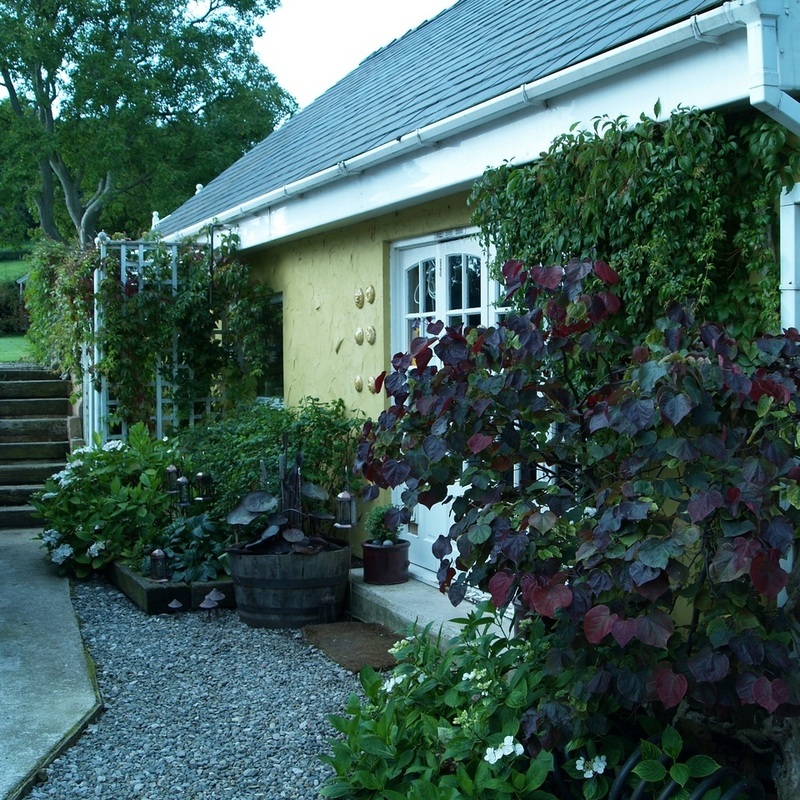 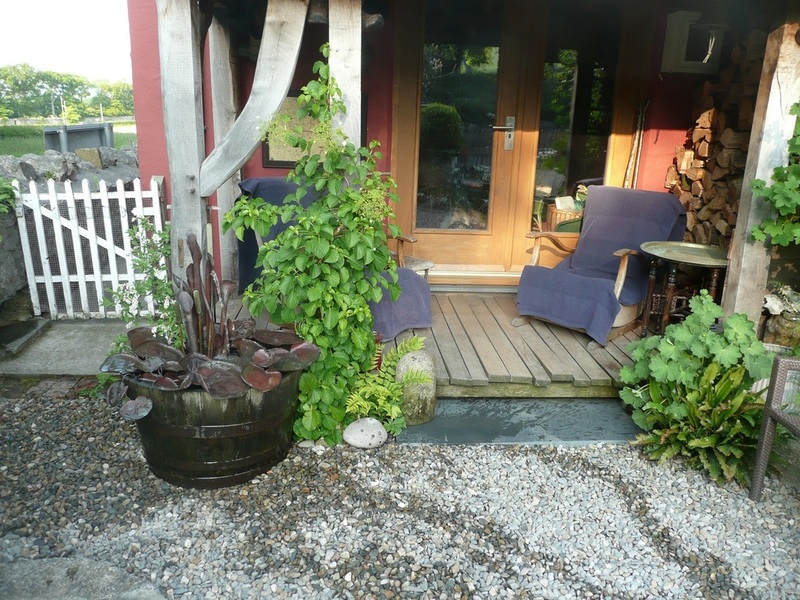 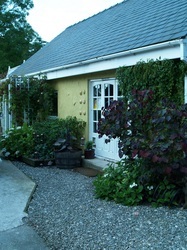 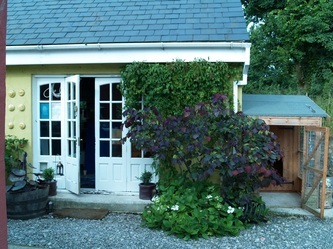 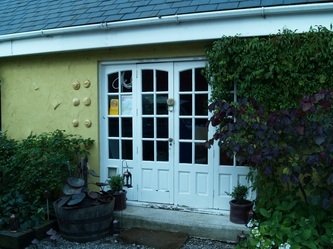 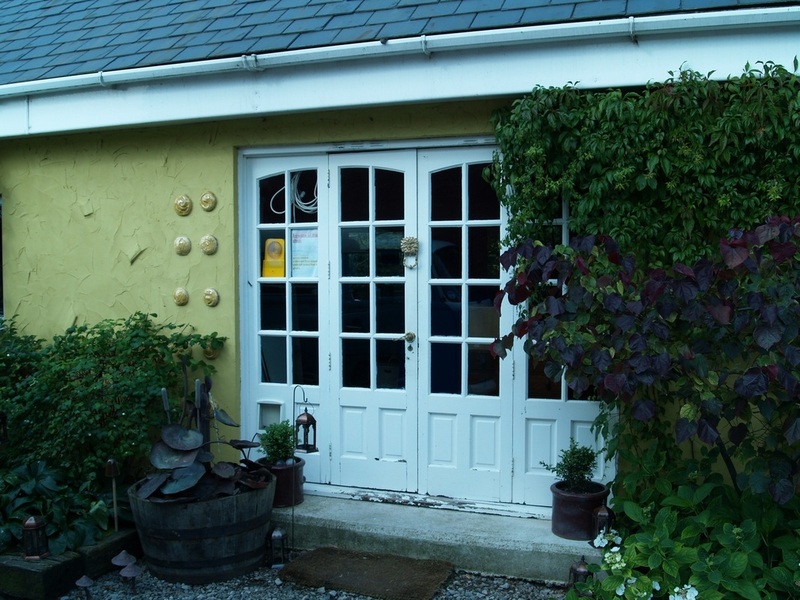 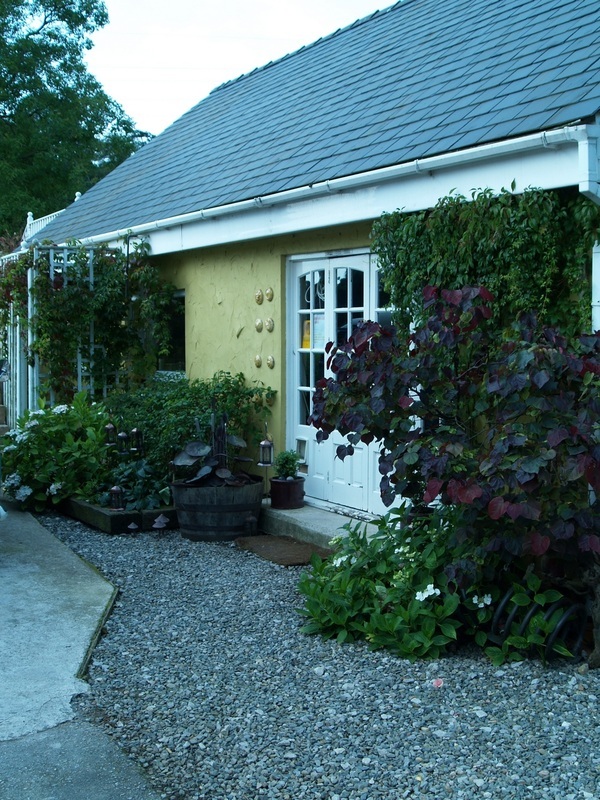 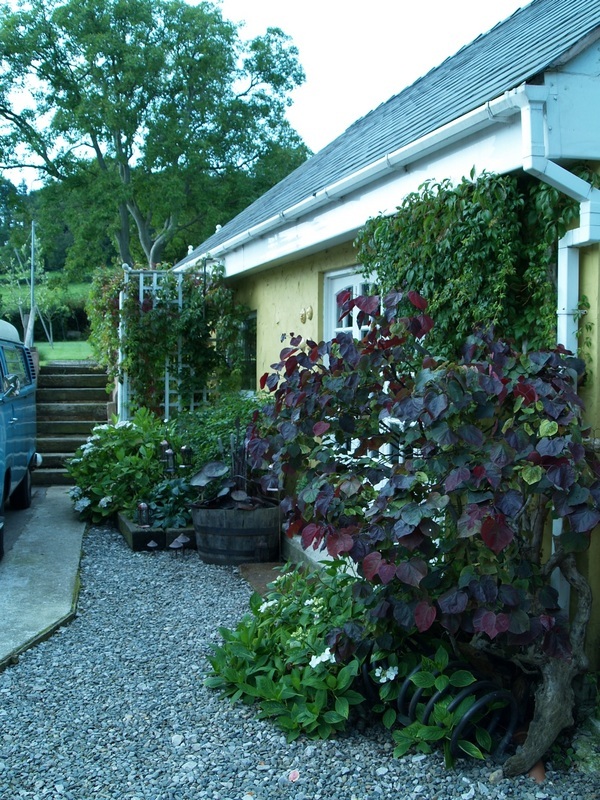 It was one of the very first projects we undertook at the Blue Earthworm. 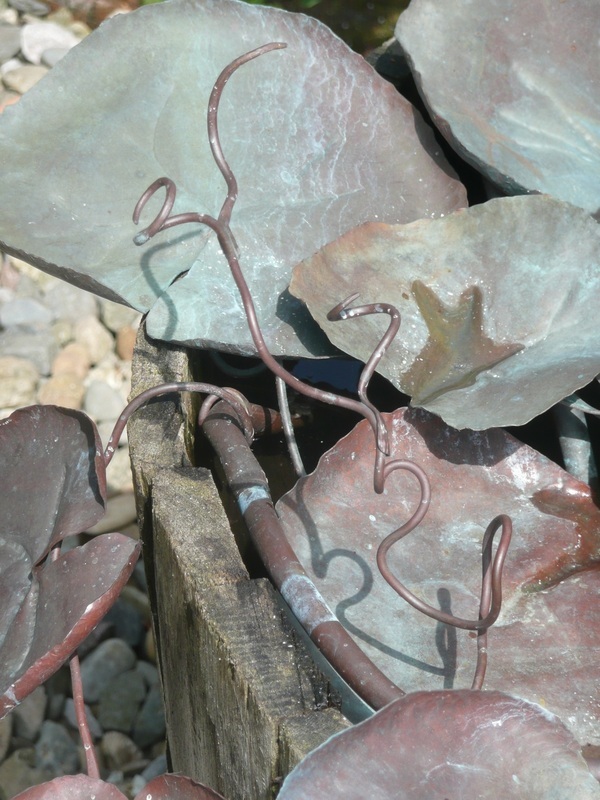 I made tiny ivy leaves, using a technique known as repousse, and I hard (silver) soldered them onto copper rods. 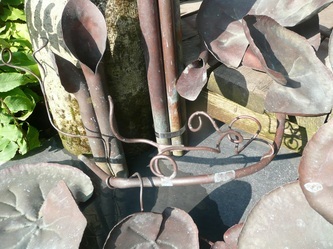 I wound these rods round the main uprights, and soldered these too, in place, along with some copper bulrush leaves. 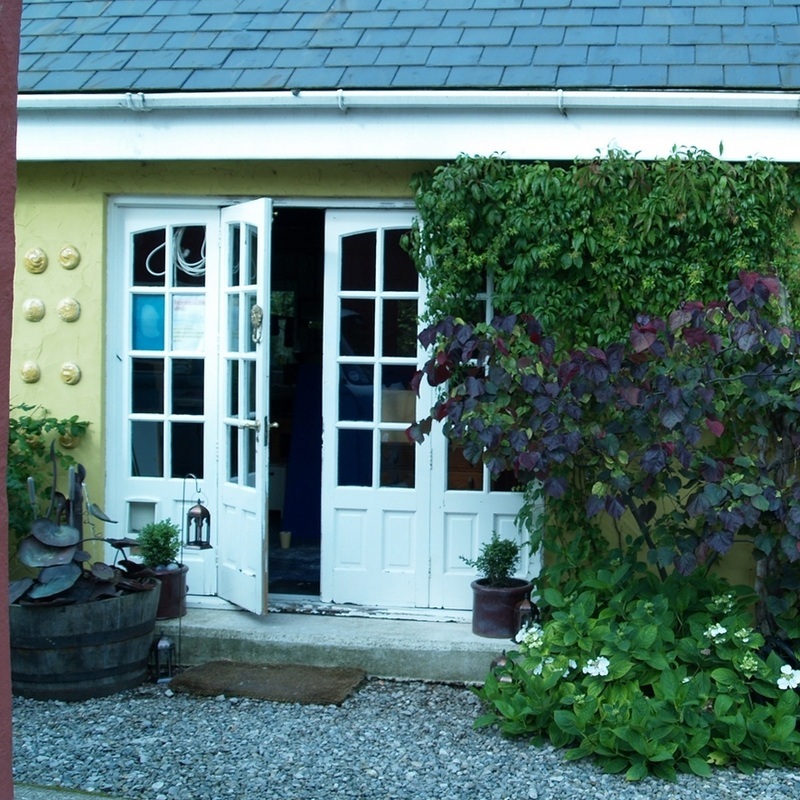 The result was solid, and would hold. 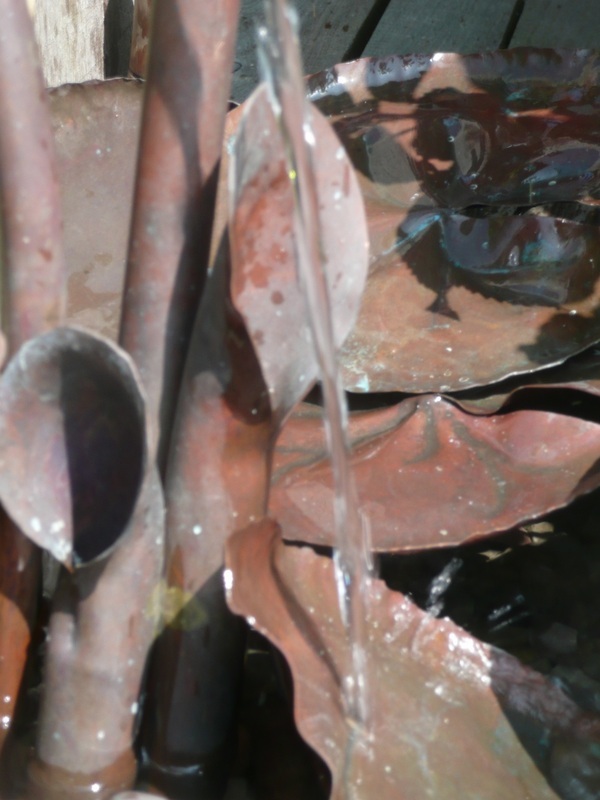 We switched it back on.....and the sound of the water cascading down the golden copper was captivating. 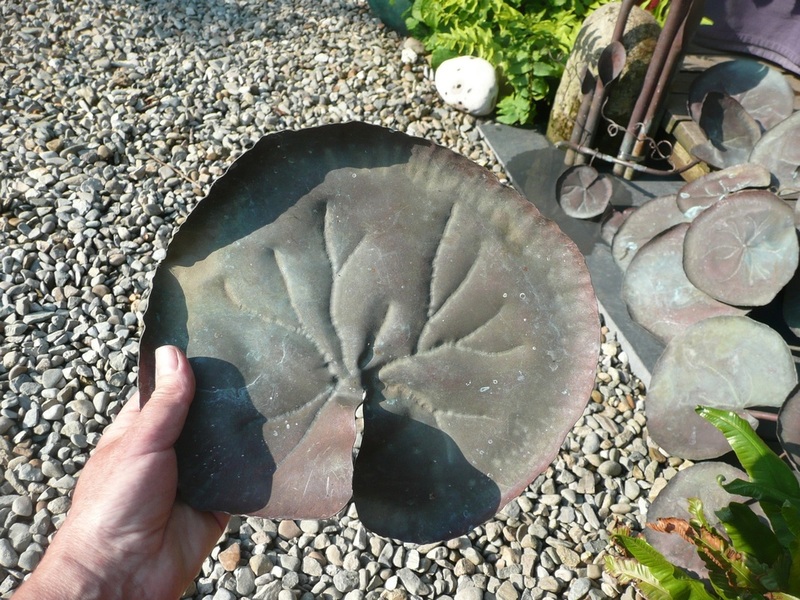 I wanted one of my own. 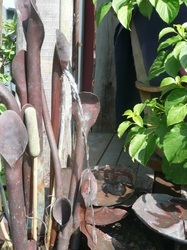 Whilst not producing fountains for the R.H.S., I do believe we’re offering a very competitive alternative indeed. Ours are held together using jewellery grade silver solder, which is stronger than the copper itself. In addition, the design uses tendrils, stalks and leaves to bind the piece together. Ours (pictured here) has withstood several gales, frozen winters, two wedding receptions and many parties without any ill effects whatsoever. The pump is entirely separate from the copper-work, so could be easily replaced. 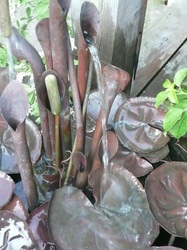 Each fountain is made entirely by hand, using a variety of traditional techniques. No two are the same. Prices start from just a couple of hundred pounds, in pure re-cycled copper. 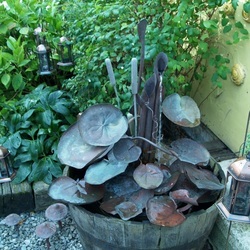 If you look online for handmade copper fountains, you’ll see just how astonishingly cheap this is. 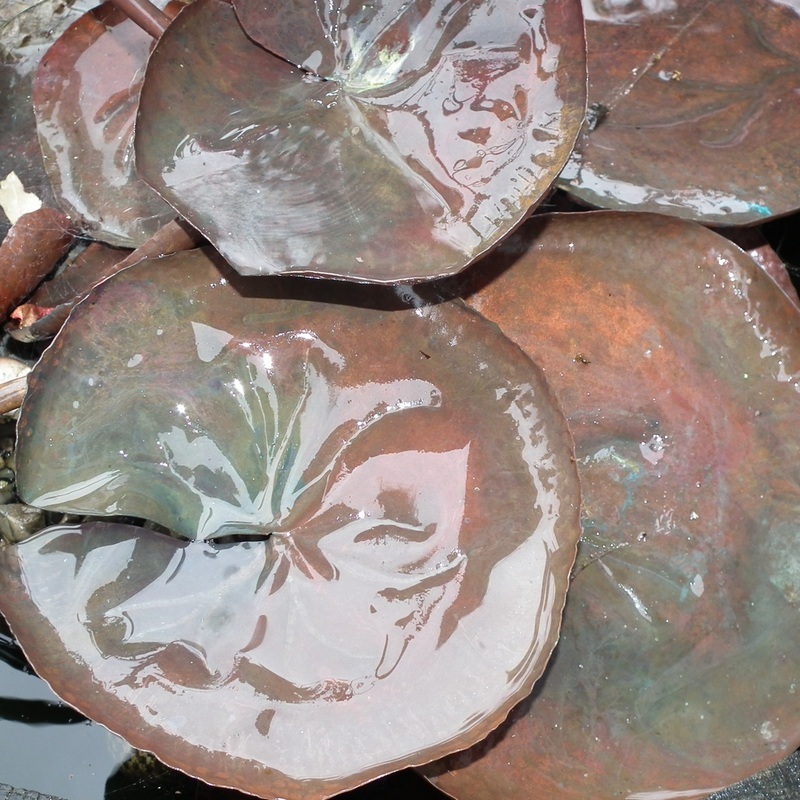 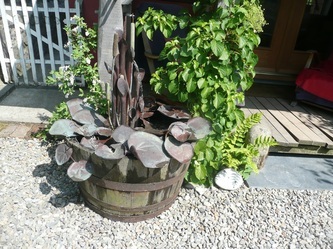 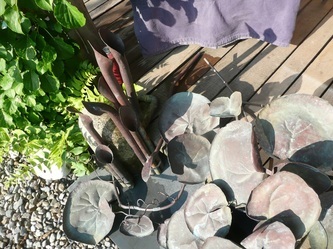 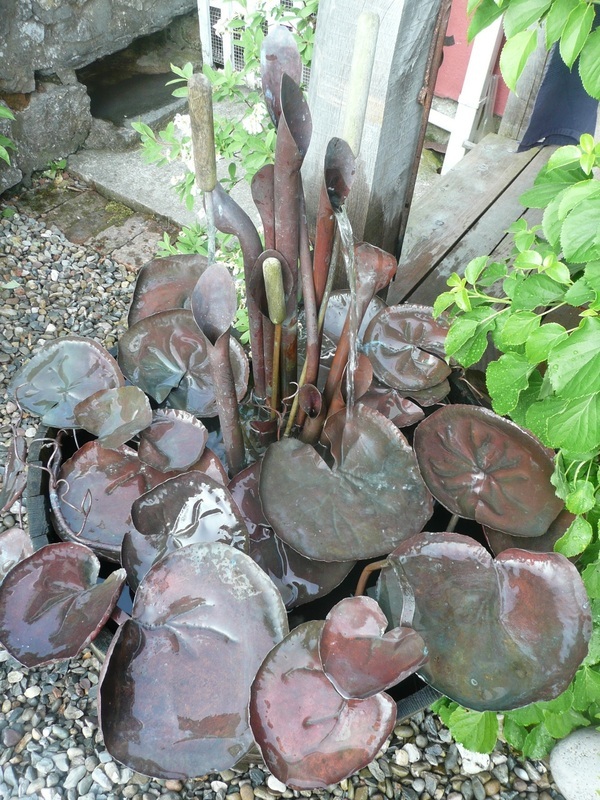 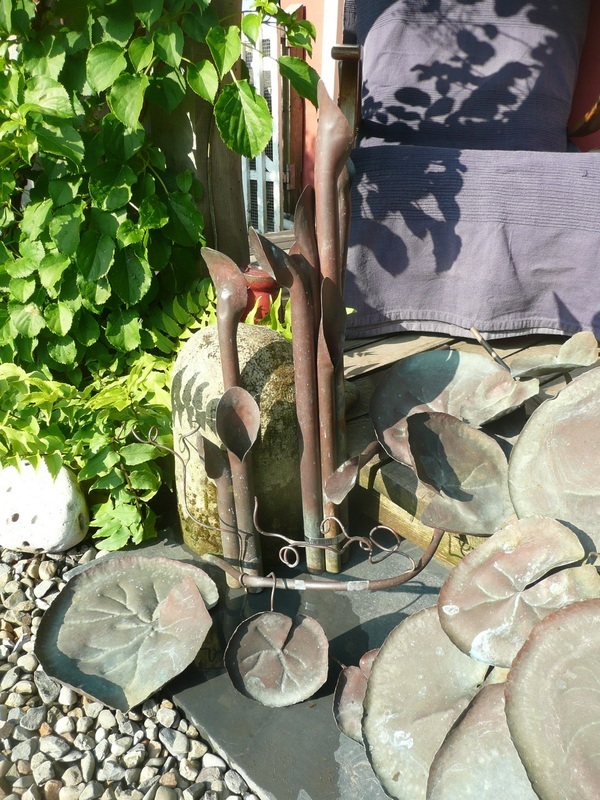 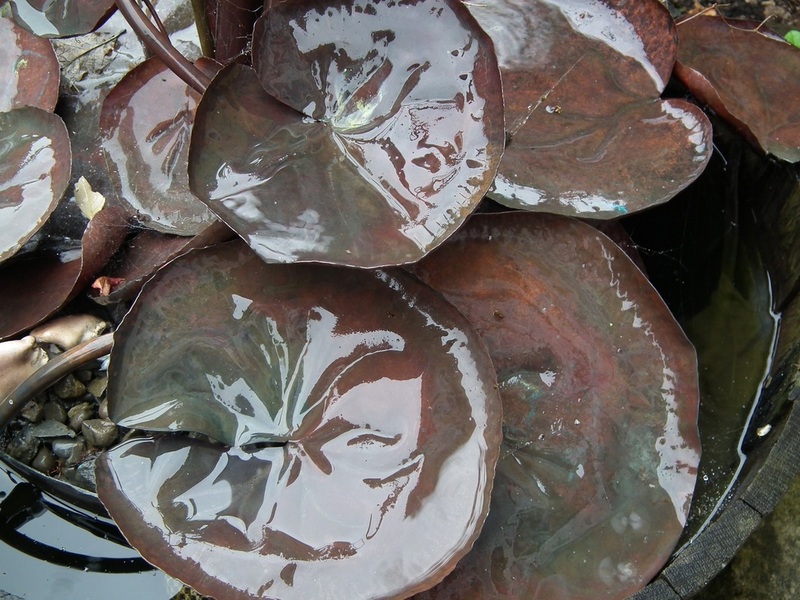 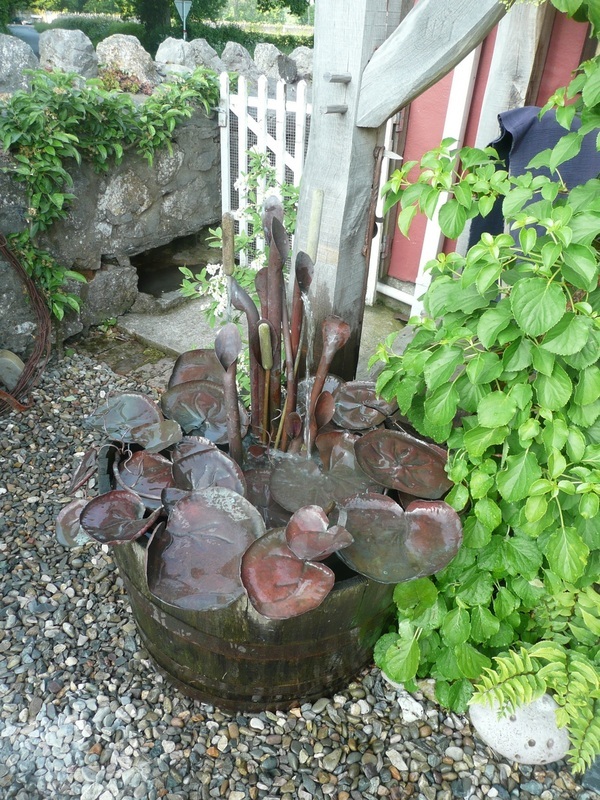 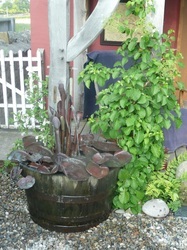 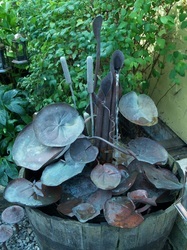 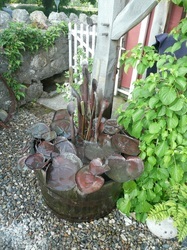 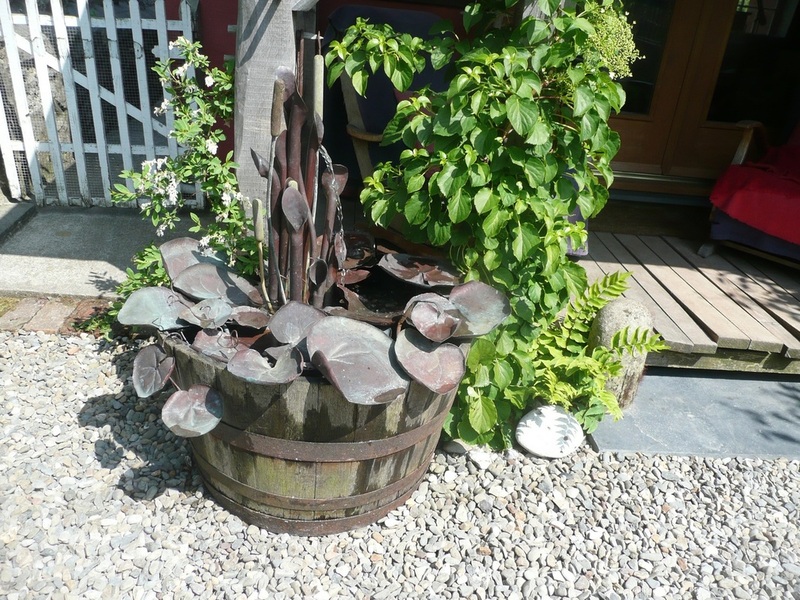 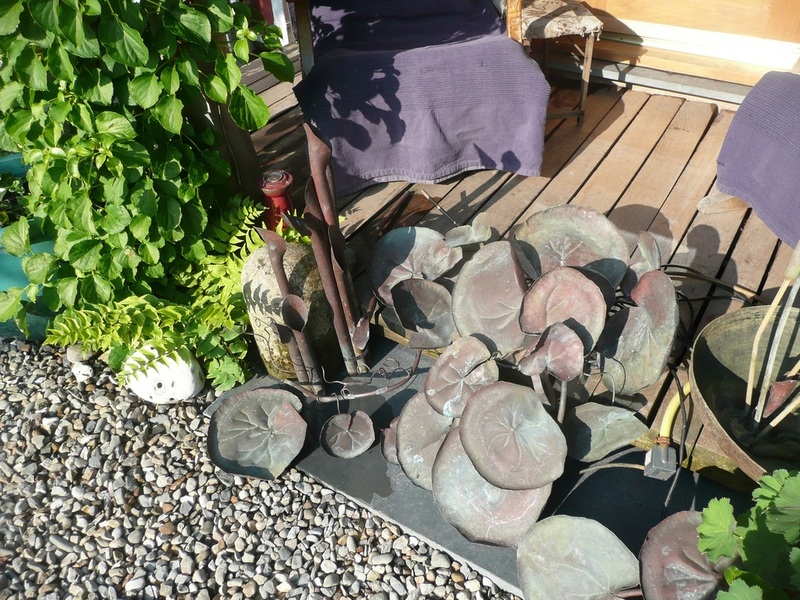 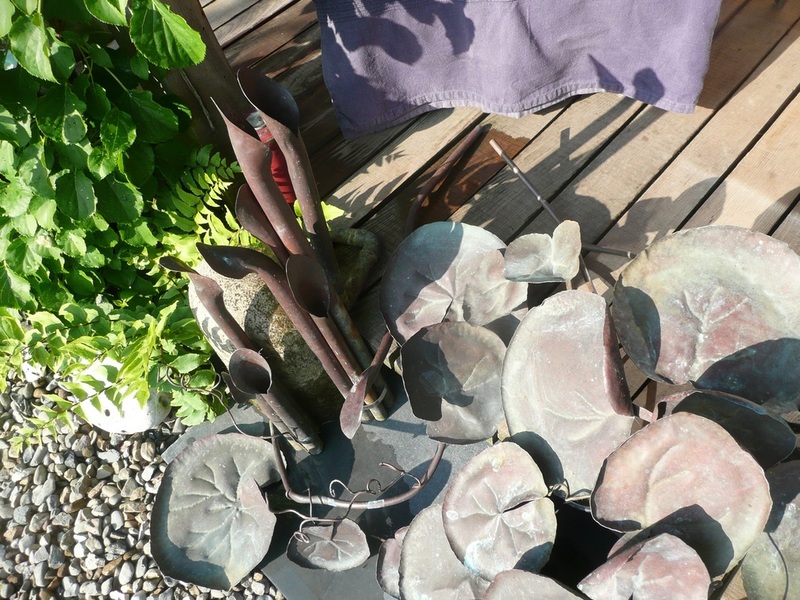 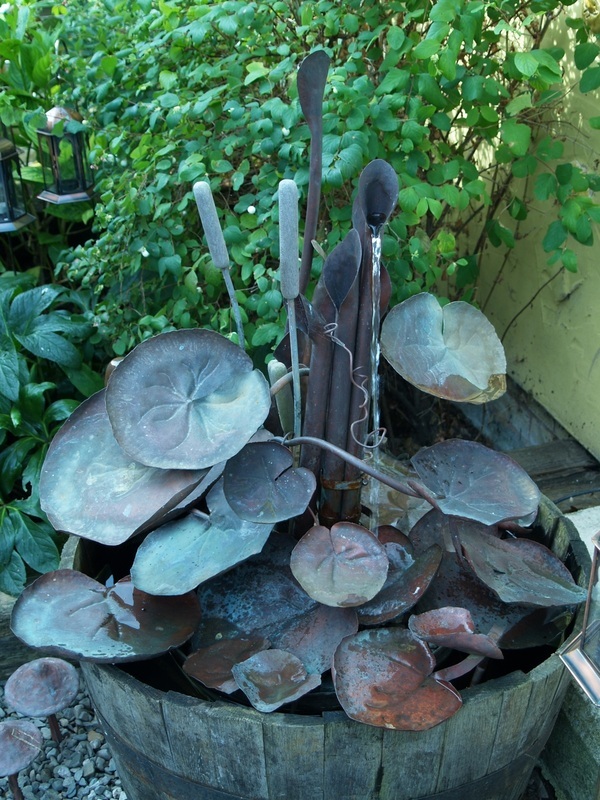 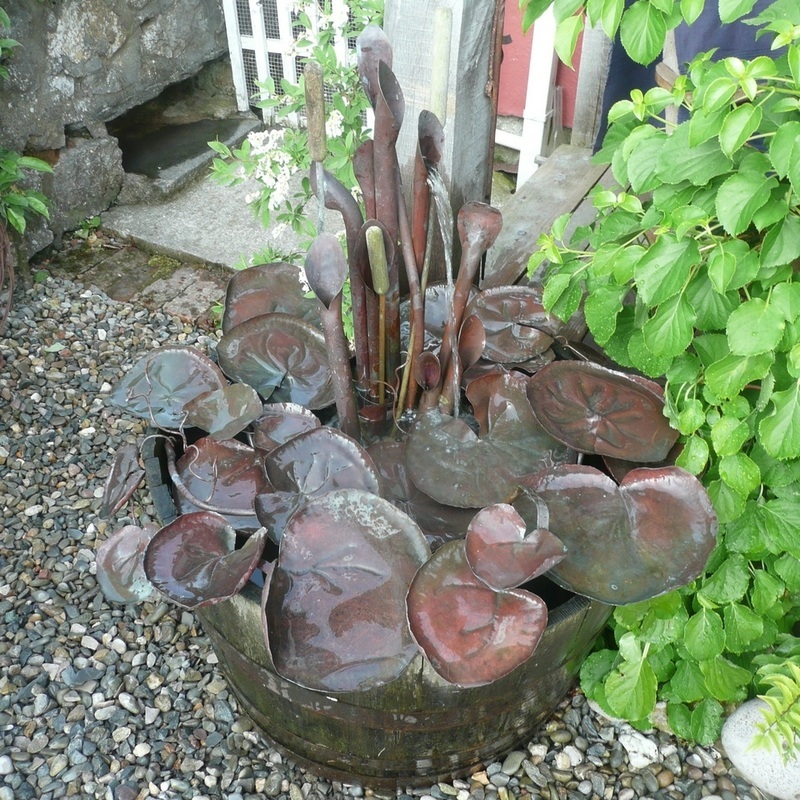 Over the years, your copper fountain will develop a beautiful palette of red, gold and green hues. I find the trickling cascade of water is the perfect musical accompaniment to the song of the birds in the evening as I sit next to mine, relaxing, glass of wine in hand. 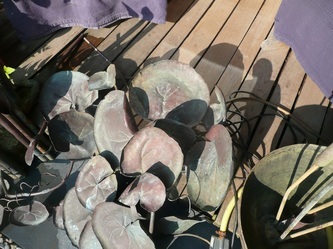 (Aspirin and bandage on the other).